Headends for residential, regional and national networks. Solutions for video services in GPON and Active Ethernet networks. 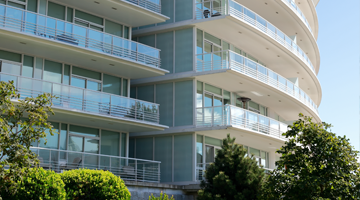 Headends for housing complexes, hotels and hospitals. 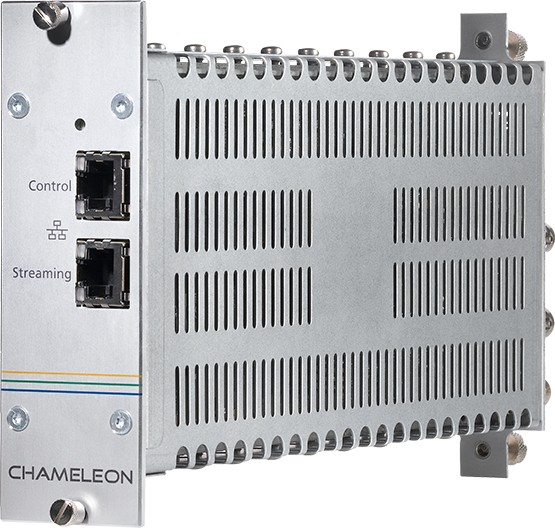 The CHAMELEON headend platform is designed with all current and future applications in mind. It is superbly suited for the transition from the analog to the digital environment, and has a unique flexibility that allows you to change functionality by the click of a button. To meet our customers’ needs, we have made the products in the CHAMELEON product line both affordable and multifunctional, which means that each unit is capable of all different kinds of processing. 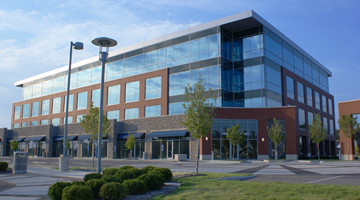 The CHAMELEON product line covers the functionality needs for all types of installations. These can easily be extended, in size by adding more units, and in functionality by adding software options. The software functionality can be modified and upgraded at any time, without changing the hardware. 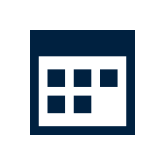 We provide a configuration tool to help you select the software options you need, and offer software packages for the most common setups. The CHAMELEON platform has been developed and enhanced since 2010 and is today a very stable system. 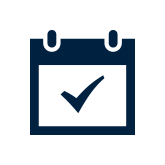 A well tested and proven platform enables you to focus on your tasks and deliver the results you want. 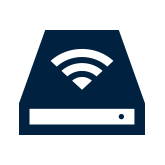 With our embedded web interface you can manage and monitor all your installations from any device that has an IP connection. The web UI of the CHAMELEON is structured to simplify configuration and management. 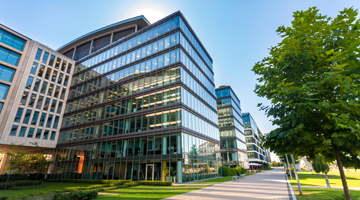 This makes it easy to keep an eye on particularly important installations wherever you are. The CHAMELEON modules use software options to activate functionality. 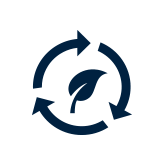 You can easily add new functionalities, or change the functionalities of existing installations by ordering new software options at any time. This gives you incredible flexibility and the possibility for your CHAMELEON system to grow with you. 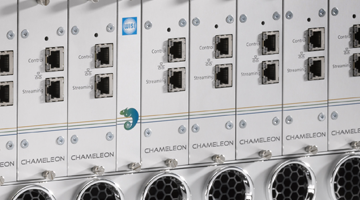 Each CHAMELEON is capable of processing up to 1,2 Gbit/s. A base unit with 10 CHAMELEON modules can thus process immense amounts of audio and video streams. 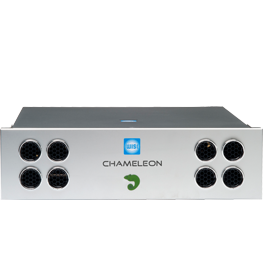 All the software functionality of CHAMELEON products can be modified and upgraded at any time, without changing the hardware. To allow our CHAMELEON users to upgrade for added functionality, a 1 year Support Licence Agreement is included in each purchase of a CHAMELEON. 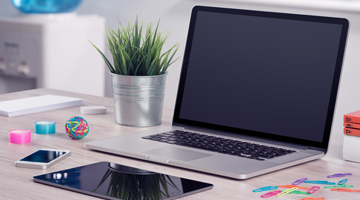 To prove to you as a customer how versatile the product is, we provide each CHAMELEON with a 30-day trial of all released software functionality. 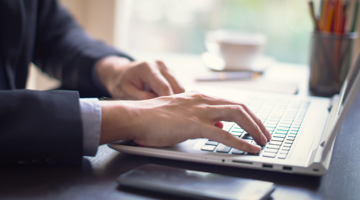 You can easily manage, monitor and modify functionality anywhere that you have an IP connection through the easy-to-use embedded web UI. Our products are designed to consume as little power as possible. The typical power consumption of our CHAMELEON modules is 15W. 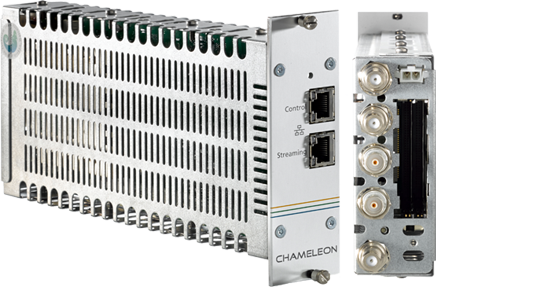 The CHAMELEON product range consists of two hardware modules, a number of different chassis and powering options and an extensive catalogue of software options. The CHAMELEON hardware modules are designed with flexibility, performance and energy efficiency in mind. The modules have the same form factor to fit the different available chassis options. The GNHWUW3 processor handles all digital input and output transmission formats and includes MPEG decoding of HD and SD content. The GNHWENCW encoder is an HD/SD MPEG-4 encoder providing ASI or IP outputs. The CHAMELEON modules can be mounted in four different subracks. In high profile professional applications, the GN50 with redundant power supply and integrated GigE switch is recommended. 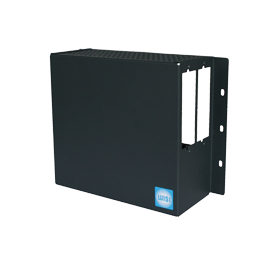 For standard applications in 19” rack mounting, the GN40 chassis is recommended. 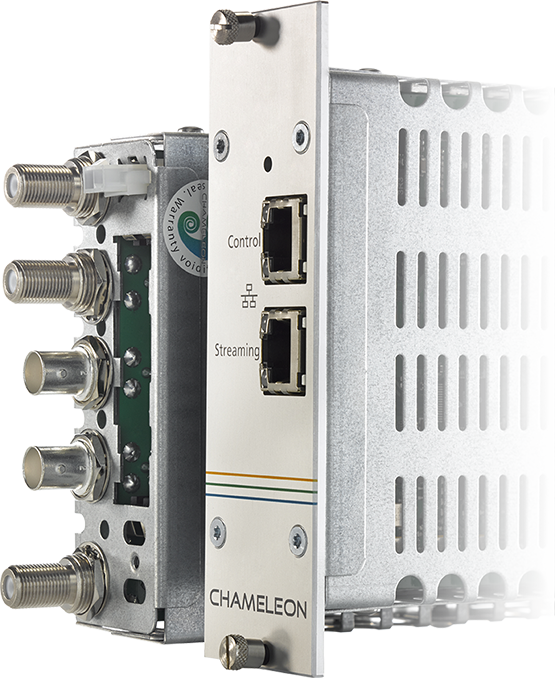 The GN20 B/R allows you to install one or two CHAMELEONs in a 1 HU, 19” chassis. GN20 R includes dual redundant power supplies. For wall mount of one or two CHAMELEON modules, the GN01 can be used. The CHAMELEON modules use software options to activate functionality. When you buy your CHAMELEON hardware, you can use the WISI Configurator to find out which software options you need. If you need to add or change functionality later on, you can easily order new software options. The CHAMELEON platform has the ability to do almost everything with the extensive number of software options available! 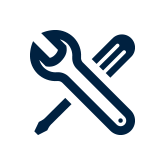 To make it easier to pinpoint the software you need, we have created packages for all of the most common set-ups. With the CHAMELEON Receiver package you will be able to receive DVB transmissions, decrypt, remux and modulate into QAM or DVB-T. The DVB Receiver with analog modulators makes it possible to deliver analog signals into your cable network. Perfect for legacy TV distribution. This package is suitable for any high quality IP streaming solution. Satellite or Terrestrial transmissions as input and IP as output. Remultiplexing and decryption are included as part of the package. 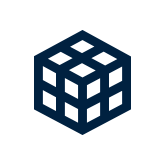 When using IP as source and you need to convert to QAM or COFDM, the Edge QAM/COFDM package is perfect for you. When using IP as source and you need to convert to legacy analogue VSB format this package allows for highest quality VSB modulation. 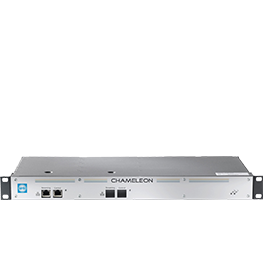 Despite the small form factor in GN20 B and GN20 R (redundant powering), together with two CHAMELEON processors, the CHAMELEON chassis provides tremendous processing capabilities. Multituner is always included, and by adding software options different outputs and processing can be achieved. For IP output, more than 500 TV programs can be streamed. Outputs in QAM, DVB-T, VSB RF, FM etc. are available. Decryption, multiplexing and encryption are only a few of the processing options. The CHAMELEON chassis GN50 W0230 is the perfect choice for small to large hospitality installations. It hosts ten CHAMELEON Processor modules and can be configured for basically any format required in a hospitality environment. Available software options include Samsung LYNK and Pro:Idiom, which are both dedicated hospitality encryption systems. Other applicable software options are DVB-CSA and AES Scrambling.Fully equipped, the GN50 W chassis can process more than 10 Gbit/s. 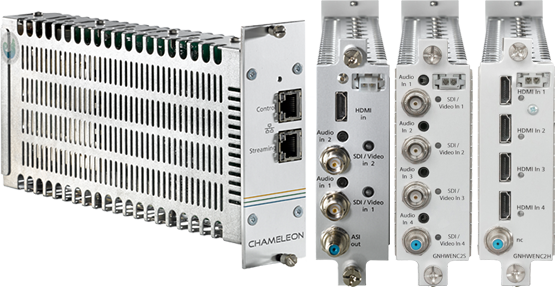 For baseband video and audio, the CHAMELEON Encoder module is a dedicated HD or dual SD MPEG-4 encoder, and provides high-quality encoding from A/V, HDMI, SDI or HD-SDI. 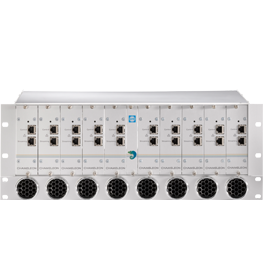 Fully equipped, the GN50 chassis can provide very high density and generate close to 10 Gbit/s of streaming, as well as up to 40 QAM channels in one chassis. Multiplexing, descrambling, and encryption are part of the system. Redundancy schedules for IP inputs, n+1 redundancy and powering are available options. Even legacy VSB RF can be offered through the advanced MPEG Decoding, and digitally generated VSB signals provide outstanding quality. All digital RF inputs are part of the system by default.